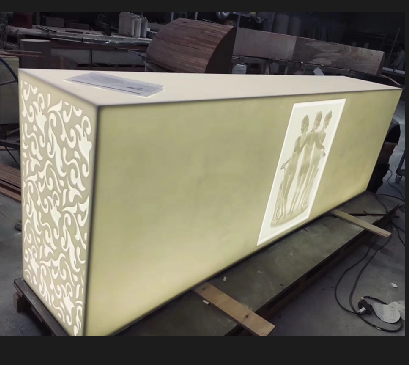 1.I have a new design of acrylic solid surface playing with other materials ,how can I work? Send us your ideas or sketches ,we can make the perfect and professional design for you . 2.If I need ready made products , should I buy from sheets manufacturer or fabricators? Check the qualiy of the sheets and buy from fabricators,ONLY fabricator know how to make the finished products with good quality. 3.Why every manufacturer told me they can produce Corian and hi-macs? 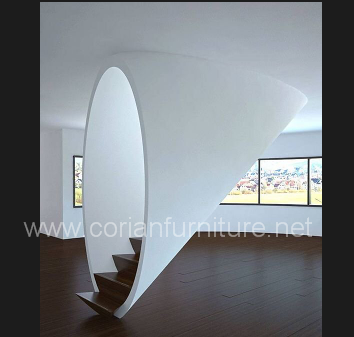 Only Dupont company can produce Corian and Lg company for Hi-macs.You can ONLY buy from the agent of Dupont and Lg .If you want to buy finished products made of original Corian or Hi-Macs,ONLY buy from fabiracators like us who with certification by Dupont and Lg .Chinese sheets manufacturer DO NOT have original Corian and Hi-macs. 4.I only have a picture of the produts which i want to buy , can you make it for us ? 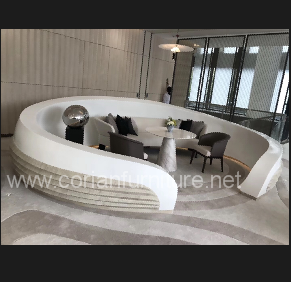 Yes , send us the pictures and the size you want , we will make the 3D drawings for you to confirm. .
5.How we work with big projects with your company? Send us drawings from designer/we complete the seperated and detailed drawings /check with your engineer and gpt proved by designer /make out cost/price, leadtime ,payment terms proved/contract made and pay deposit/factory produce/send pictures and customer coming for check /clear paid /packag/ship./if necessary, installation guiding book offered or engineer arranged to go for guiding/ . 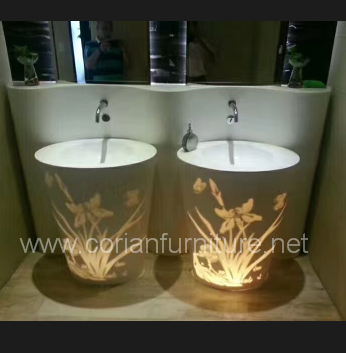 6.Why we buy solid surface but so much different cost from China ? 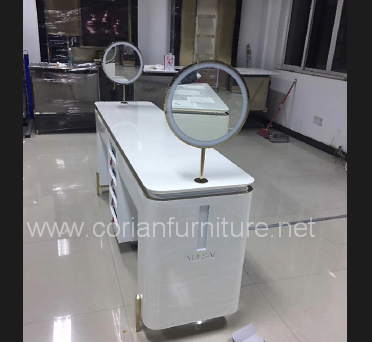 It is very important things to check the material if it is 100% acrylic solid surface , most factory will offer some named modified acrylic solid surface which the cost is half but can not curved and not acrylic resin compostion.